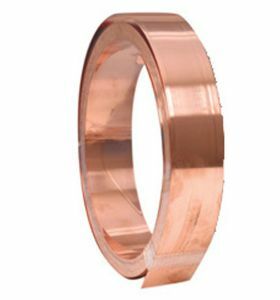 Copper fixing strips are made from 0.6mm half hard copper and come in convenient 20m x 50mm wide rolls. Copper fixing strips are cut into small clips for use in copper / lead roofing. Copper fixing strips are also used for moss prevention / control. Installing copper strips on roofs is a method of controlling moss without harming the environment.